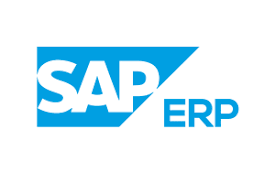 With its five main ERP products, SAP cast a wide net in the ERP market. Here’s a rundown of SAP ERP software offerings, including its stalwart on-prem ERP and next-gen S/4HANA. SAP ERP system- SAP offers a full retinue of ERP systems that companies of any size, in any industry or vertical, with any IT architecture, can adopt. This includes ERP products targeting large enterprises looking to keep their ERP system on premises, companies looking for a way to modernize legacy systems and integrate other software packages by moving to the cloud, and smaller businesses that want to implement cloud-based ERP — often, their first ERP system — or expand one module at a time. Because there are so many choices, it’s important that companies considering an SAP ERP system evaluate their ERP needs and budget. Service and support are also important considerations, as is existing IT architecture. Some companies only need service and support while implementing the software, while others continuously require it. Depending on the company’s needs, a full infrastructure refresh may not be necessary, as SAP is working to expand its ERP offerings to run on public cloud systems, like AWS and Microsoft Azure, and has, in fact, announced partnerships with both cloud platform vendors. SAP offers five main ERP products: SAP ERP, its flagship on-premises system; SAP S/4HANA; SAP S/4HANA Cloud, SAP Business One; and SAP Business ByDesign. One final note, SAP’s product branding can be confusing when evaluating its ERP offerings. For example, SAP’s marketing materials may refer to cloud ERP, a broad term that encompasses several of its products, like SAP S/4HANA Cloud, Business ByDesign and cloud deployments of Business One. SAP ERP Central Component is the company’s on-premises, stalwart ERP system, and it includes supply chain management, product lifecycle management, human capital management, financial management and customer relationship management software. Most simply refer to it as SAP ERP. It can be deployed on premises on a company’s own infrastructure, with an IaaS provider or in a private cloud option. SAP does enable companies to migrate SAP ERP software to the cloud by converting to SAP S/4HANA, which runs as PaaS. SAP ERP’s maturity is its strength. More than 170,000 businesses worldwide use it as of 2018, and SAP customized it to support 25 different industry verticals and 37 different languages. This makes an SAP ERP system appealing to companies with global business dealings and companies in specialized industries with highly specific needs.